Genetics is a science of difference in genes, whereas phenotype is the resulting variation we can among organisms. Deriving from Greek phainein, 'to show' + typos, 'type', phenotype is the sum total of an organism's characteristics or traits, such as its morphology, development, biochemical or physiological properties, phenology, behavior, and products of behavior (mating) that we can observe, which are a collection of traits. The phenotype determines an organism's physical attributes that, in turn, directly determines ability to survive and reproduce. A descendant’s inheritance of physical properties occurs as a secondary consequence of inherited genes. Genes contribute to a trait, sometimes many for a given trait, and the phenotype is the observable expression of the genes. This could be a camouflage color pattern, ability to flee quickly, ability to ambush or chase down prey, high fecundity, or production of a toxin to counter predators. Traits that favor survival and reproduction will enable the favored individual to pass them on to descendants, where natural selection cause the trait to be retained within a population’s gene pool. 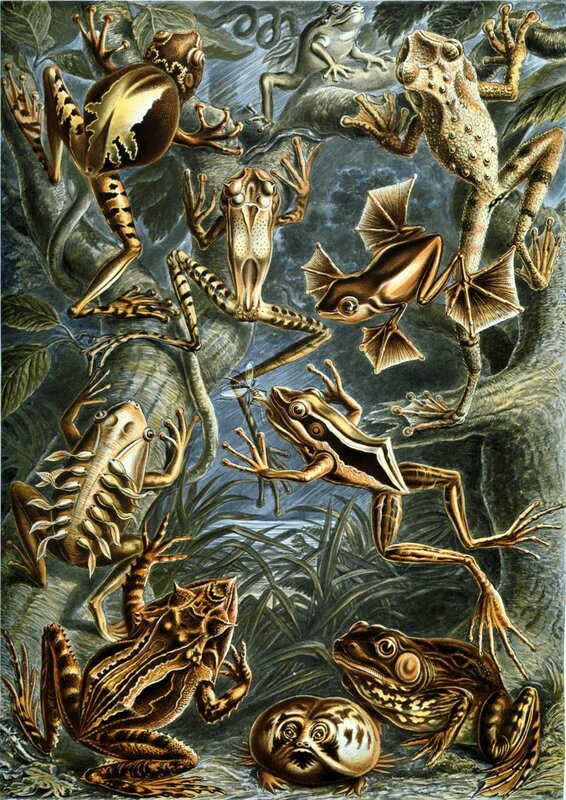 Without phenotypic variation, there would be no evolution by natural selection. 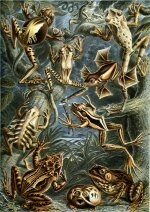 When a variation is of the slightest use to a being, we cannot tell how much of it to attribute to the accumulative action of natural selection, and how much to the conditions of life. Thus, it is well known to furriers that animals of the same species have thicker and better fur the more severe the climate is under which they have lived; but who can tell how much of this difference may be due to the warmest-clad individuals having been favoured and preserved during many generations, and how much to the direct action of the severe climate? for it would appear that climate has some direct action on the hair of our domestic quadrupeds. .... Variability from the indirect and direct action of the external conditions of life, and from use and disuse; a Ratio of Increase so high as to lead to a Struggle for Life, and as a consequence to Natural Selection, entailing Divergence of Character and the Extinction of less-improved forms. Thus, from the war of nature, from famine and death, the most exalted object which we are capable of conceiving, namely, the production of the higher animals, directly follows. There is grandeur in this view of life, with its several powers, having been originally breathed into a few forms or into one; and that, whilst this planet has gone cycling on according to the fixed law of gravity, from so simple a beginning endless forms most beautiful and most wonderful have been, and are being, evolved. 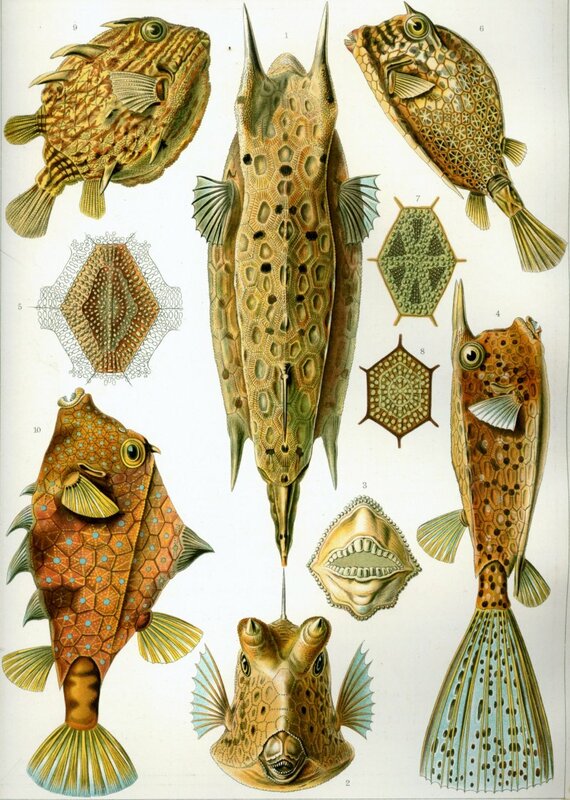 Examples of observable variation - the art of Ernst Heinrich Philipp August Haeckel (February 16, 1834 – August 9, 1919). 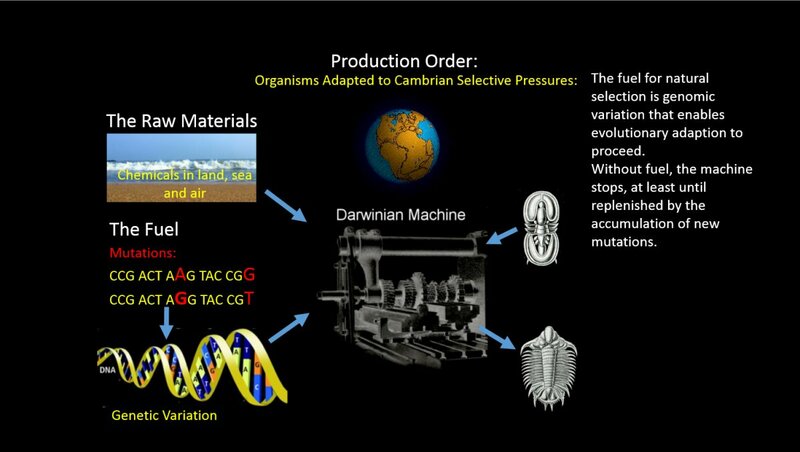 Among many accomplishments, Haeckel promoted Charles Darwin's work in Germany and developed the controversial recapitulation theory (i.e., ontogeny repeats phylogeny), hypothesizing that a organism's biological development, or ontogeny, parallels and summarizes its species' evolutionary development, or phylogeny.